Lenovo announces two new PCs, the ThinkCentre M58 and the ThinkCentre A57e, aimed at helping customers stretch their IT dollar. The ThinkCentre M58/M58p is Lenovo’s greenest, most secure and most manageable ThinkCentre desktop PC yet with Power Manager, a ThinkVantage technology that allows PC users to control their electricity consumption remotely, and available for the first time ever on a ThinkCentre PC. The ThinkCentre A57e, targeted at emerging markets, is perfectly suited for first time users that want a highly reliable, simple-to-use PC with accompanying services. Continuing Lenovo’s heritage of producing highly reliable PCs, it delivers rock solid quality and convenience by incorporating the latest ThinkVantage Technologies productivity and management tools. The ThinkCentre’s M58/M58p’s Power Manager allows customers to save energy and lower electricity costs by enabling system administrators to monitor and remotely control the amount of electricity used by all Power Manager enabled desktops in a PC fleet. 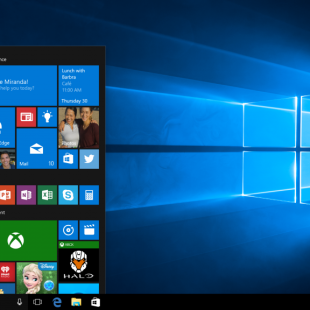 For example, PCs can be programmed to shut down evenings or weekends. Through the use of Power Manager and Intel vPro technologies, the ThinkCentre M58p provides the user with the lowest total cost of ownership of any ThinkCentre. Further solidifying the ThinkCentre M58/M58p as one of the industry’s leading “green” computing solutions is the gold status achieved from the Electronic Product Environmental Assessment Tool organization, or EPEAT. Lenovo has a total of 24 ThinkCentre desktops that have become EPEAT Gold certified. EPEAT was created to provide a green standard for electronics purchases. The M58/M58p has also passed the stringent testing of GREENGUARD Environmental Institute, which probed for the presence of up to 2,000 potentially harmful contaminants, in addition to receiving the GREENGUARD Certification for Children & Schools, which takes into account children’s higher sensitivity to pollutants. The ThinkCentre M58/M58p is also the first ThinkCentre PC to support Hardware Password Manager (HPM), which allows for oversight of user, supervisory, BIOS and HDD passwords. HPM is available in April, 2009 and requires a separate software purchase. Previous ThinkCentre versions of a password manager only allowed for password management at the software level. Additionally, the user can disable/enable USB and PS2 ports for complete “security” peace of mind. Available in three form factors – Tower, Small Form Factor and Ultra Small Form Factor – the ThinkCentre M58p offers top performance with Intel vPro processing technology: Intel Core 2 Duo E8x00 or Core 2 Quad Q9xx0. The ThinkCentre M58 offers the Intel Q45 chipset with ICH10-DO. The ThinkCentre M5/M58p is also quieter and cooler than any previous ThinkCentre: across all form factors, it is up to six decibels quieter than the ThinkCentre M57/M57p and the hard drive and the processor power module run six and eleven percent cooler, respectively, than the M57/M57p. Embracing new technology, the M58/M58p is the first ThinkCentre with onboard Displayport. The ThinkCentre M58/M58p comes with a limited, three-year onsite warranty with next business day service. End of life disposal solutions round out Lenovo’s commitment to green computing and preserving the environment. By doing so, customers may be able to receive cash back to offset the costs of future PC purchases, further lowering their total cost of ownership. The ThinkCentre A57e continues Lenovo’s heritage of making highly reliable PCs and delivers rock-solid quality and convenience to customers by incorporating the latest ThinkVantange Technologies including Rescue and Recovery with Express Repair for recovering many system issues in 2-3 minutes and System Update that automatically downloads the latest updates over the Internet. It provides emerging-market and first-time users access to the latest Lenovo technology and award-wining service and support at an attractive price point. The ThinkCentre A57e incorporates the latest Intel technology with the Intel ATOM processor and is ideal for first time buyers looking at empowering their business with affordable, hassle free desktop solutions. 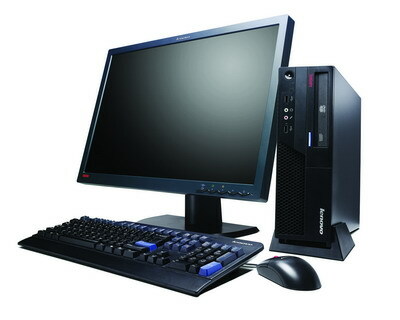 Lenovo’s ThinkCentre A57e inherits the ThinkCentre’s ease-of-use design and is built to international quality standards with a stainless steel chassis for greater durability Preloaded Windows Operating System and Microsoft Office (Trial)/Adobe Reader makes A57e ready for daily business use out of box. The ThinkCentre A57e is designed to perform in severe environments making it ideal for first time PC users and customers in emerging markets. The hardworking Lenovo A57e delivers secure and reliable word processing capabilities while delivering social networking, photo and video entertainment functions that make it an ideal all round PC. The A57e comes with 1 year onsite support with options for a 3-year upgrade. The ThinkCentre M58 and M58p desktops start at PhP34,428 and PhP69,990, respectively, inclusive of 12% tax. The ThinkCentre M58/M58p is available immediately in Tower and Small Form factor versions as well as the Eco Ultra Small Form Factor. All products will be available through Lenovo business partners. The ThinkCentre A57e will be available in January 2009 starting at PhP14,142. Monitors are sold separately.